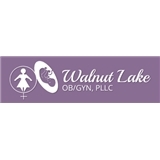 Walnut Lake OB/GYN (West Bloomfield Township) - Book Appointment Online! Our mission is to provide comprehensive quality healthcare for all women, to promote healthy behavior in all patients and to provide a safe and comfortable environment to discuss all issues affecting woman’s health. Our office offers a wide range of services including urodynamics, for bladder control problems, bone density testing, for osteoporosis, ultrasound, and Essure®, the latest advancement in sterilization. We also are able to perform uterine ablations to control heavy periods. Essure® and Thermachoice® ablations can be performed in our office. Such a great dr, it was my first time going to her and she made me feel so welcome. I would recommend her to everyone!